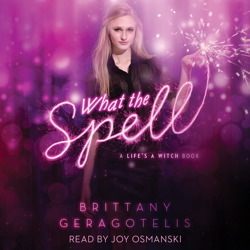 A teenage witch juggles popularity and romance while keeping her powers a secret in this spellbinding debut. Almost-sixteen-year-old Brooklyn feels invisible, but she desperately wants to be pretty, to be popular, to be adored by a cute guy. Luckily for her, she’s a witch about to come of age—so she’s only a few spells away from making it all happen. On her milestone birthday, Brooklyn’s conservative parents finally unbind her powers, which include the ability to magically match couples with a love spell. Brooklyn uses her special skills to get a makeover, new friends, and the attention of her crush, Asher. But the popular clique Brooklyn wants to infiltrate puts her in the same precarious position as her Salem ancestors: If she’s found out, she could be vilified—and lose Asher in the process. Can she make the most of her magic, or will she be luckless and loveless? Be careful what you witch for!